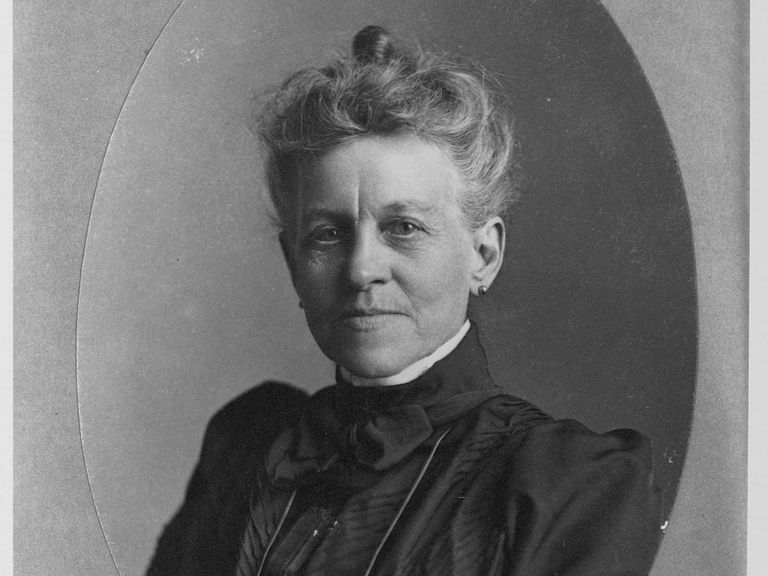 Ida Lewis was an extraordinary woman who rescued and saved many people in trouble in the seas off Newport, Rhode Island, during the late 19th century and early 20th. Her acts of heroism became folklore and hundreds of people would come to grab a glimpse of her at the lighthouse she operated at Lime Rock, where she lived from 1854 until her death in 1911. At the age of 12 she is reported to have gone out to sea and rescued four boys who had capsized, setting the stage for numerous more acts of selfless bravery over the years to come. Officially she is said to have saved 18 peoples lives, though some say it was as many as 36. Born Idawalley Zorada Lewis in 1842, Ida came to Lime Rock when her father was made lighthouse keeper there in 1854. Sadly he was to suffer a stroke within four months and as the oldest of four siblings much of the responsibility for operating the lighthouse fell on to Ida alongside her mother. Indeed she would keep watch all night before rowing her siblings to the shore for school each day, having dropped out herself, before returning to sleep ahead of her night-time duties. She became the official lighthouse keeper in 1879 when her mother’s health was failing, her father having passed away in 1872. The importance and responsibility of this job for the safety of passing ships was huge. Yet accidents and mistakes happen and this was when Ida Lewis came in to her own. It was unusual for a woman at this time to have such boat skills and it was these she used to venture out to help those in need, much of which went relatively unreported until 1869. On this occasion she saved two soldiers who were heading to Fort Adams during a snowstorm, their boat overturning in rough waters. Apparently without even putting on her coat or shoes Ida took to her boat and, helped by her younger brother, managed to get the soldiers safely back to the lighthouse. This remarkable women carried on saving lives throughout her life with her last recorded rescue when she was well in to her 60’s. Following her 1869 rescue Ida began to get the recognition she fully deserved. She was awarded the congressional medal for her bravery and just as touching the grateful soldiers at Fort Adams raised $218 as a mark of their appreciation in saving their two comrades. A feature in Harpers Weekly was to bring her to the attention of a national audience, bringing an almost celebrity status, while she also met the President, Ulysses S. Grant. The fact that Ida came to earn $750 a year, the highest in the country including men, points to how well she was regarded. Although her incredible life ended in October 1911 her memory lives on, and in 1924 Lime Rock was changed to Ida Lewis Rock by Rhode Island’s State legislature in her honour.